Most modern cars are controlled by onboard computers, which command many of a vehicle’s major components and parts. That’s why engine diagnostics are absolutely crucial. 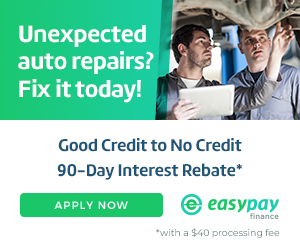 Your car or truck should be examined by mechanics who not only have the right tools to perform automotive troubleshooting, but who also have the knowledge needed to understand the complexities of engine repair. If you’re having trouble with your vehicle, there is a good chance that the car or truck’s computer can tell you about it. Some people disregard their vehicle’s “check engine” light and others have gone so far as to disable it. However, this can be a costly mistake, as ignoring warning signs in the early stages of a problem could lead to a total shutdown of your car. 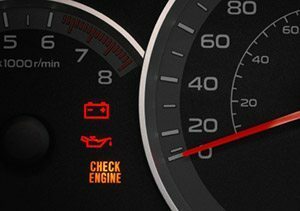 When a warning light comes on, please don’t hesitate to contact one of our shops so that we can diagnose the problem and provide the proper solution. To perform engine diagnostics, Seeburg Service Center uses the latest in scan tool technology from OTC Genisys and Auto Engenuity, two of the most reputable and accurate diagnostic systems on the market today. Once we determine the problem, we will carefully decide what (if any) work needs to be done. We will then review this information with you and let you know exactly how much the repairs will cost. Our mechanics will keep you informed every step of the way. Please give us a call or schedule an appointment online to get started. When you spot that little engine icon on your panel, don’t panic! In most cases, it is alerting you to a non-urgent and non-critical problem. However, that doesn’t mean you should ignore it; stop driving and call the trustworthy, reliable mechanics at Seeburg Service Center. Due to the complexity of engines today, the issue at hand must be diagnosed by an experienced mechanic. It takes special training to identify the myriad of problems that auto technicians confront on a daily basis. For the latest in computerized engine diagnostics, come to Seeburg Service Center. We have four locally owned and operated auto shops in Springfield (MO), Fayetteville (AR), Springdale (AR), and Rogers (AR). We seek to provide our customers with top-notch service that exceeds their expectations in every way. So as soon as your engine light flashes on, give us a call to ensure that your car is safe and ready to hit the road.